Unsure about the order in which to present their comics, Mark and Grant press forward. They have not talked in a few weeks, so the episode recording was preceded by a bit of catch-up so that they stay sharp. Mark brings a Andertoons comic to talk about gaming the system, and how students are quite good at figuring out just what work they can avoid doing. 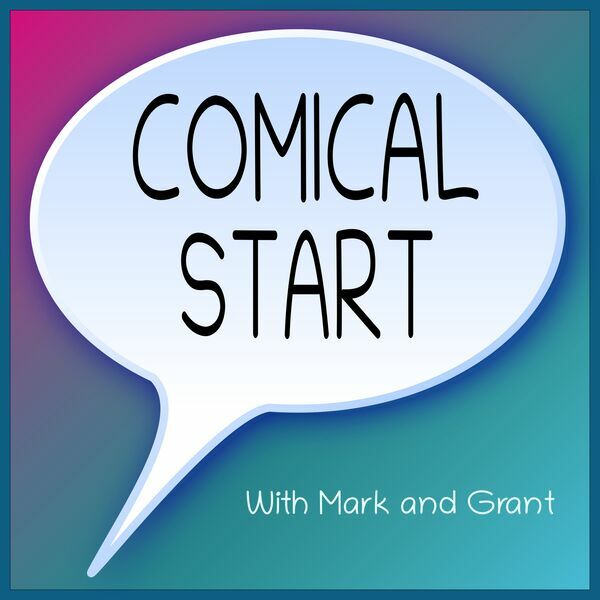 Grant frustrates Mark, bringing a Sarah's Scribbles comic, which Mark already had mixed feelings about. They talk about slang, and whether us millennials will be saying Internet slang while we're hanging out in nursing homes. Mark finds a bonus comic from Sarah's Scribbles, in what is surprisingly their first segment of general criticism of the comics they find.